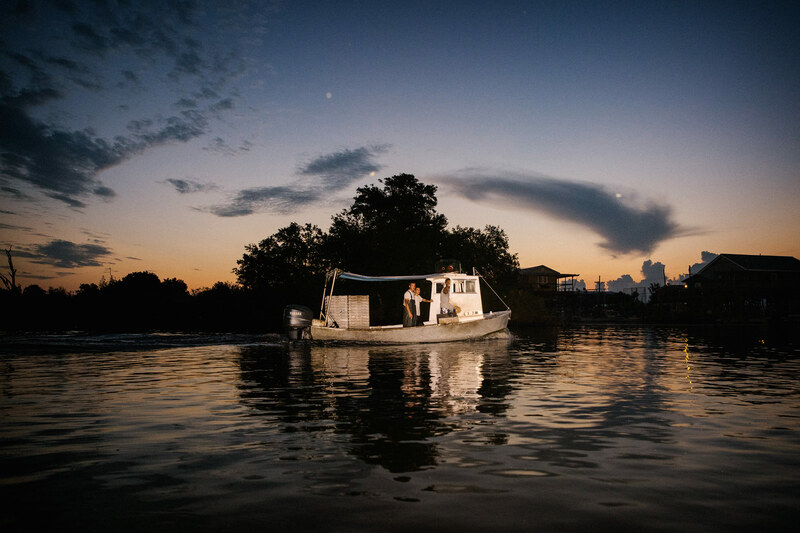 A crab boat returns to its dock with a morning catch in Delacroix, Louisiana. As Delacroix sinks due to erosion and subsidence, the people that populate the area and have traditionally lived off of the sea face an uncertain future. Shot on assignment for ProPublica, the published story can be seen here.